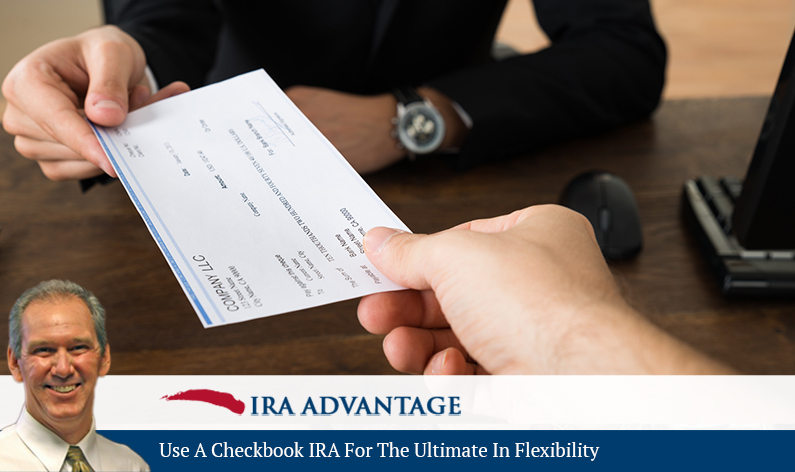 When you’re looking for flexibility, look no further than a checkbook IRA. As David Moore explains, it not only gives you flexibility, but also the ability to move fast and take advantage of the perfect investment. David, you’ve said a checkbook IRA offers great flexibility. How does that work? David Moore: Well, it gives the investor—actually empowers the investor—the ability to invest in what they want when they want without having to wait around for a custodian to take action on a given investment. The way it gives flexibility is by giving the opportunity to buy when you want and to get it … If you’ve got a time sensitive investment, it’s really the only way to do it. If you’ve got a property or something, a piece of real estate that requires management, it’s going to be the option that you’re going to look for. Also, even simply making the investment in a piece of real estate, it makes something that’s very difficult without, very easy to do with. David, a checkbook IRA does come with restrictions? David Moore: The same restrictions that any IRA has. All we’re doing … A checkbook IRA in the most basic sense, is simply inserting a limited liability company between the custodian and the ultimate investment. The custodian makes a given investment into a limited liability company, the taxpayer’s the manager of that limited liability company. From that point forward, the manager is able to make an investment by simply writing a check. The downside of that structure ultimately is that there’s no safety net. You’ve got to be diligent to make sure you’re doing the correct thing, which we take it as far as discouraging our clients from naming the LLC in any way something familiar to their name, because we want it to be totally clear that any time a check is written out of that account or into that account, that it is the retirement, and it is not them. Look into a checkbook IRA for the ultimate in investing flexibility. Since it’s subject to the same restrictions as an IRA investment, make sure you have an expert on your team. Call David Moore and the team of professionals at Equity Advantage today!